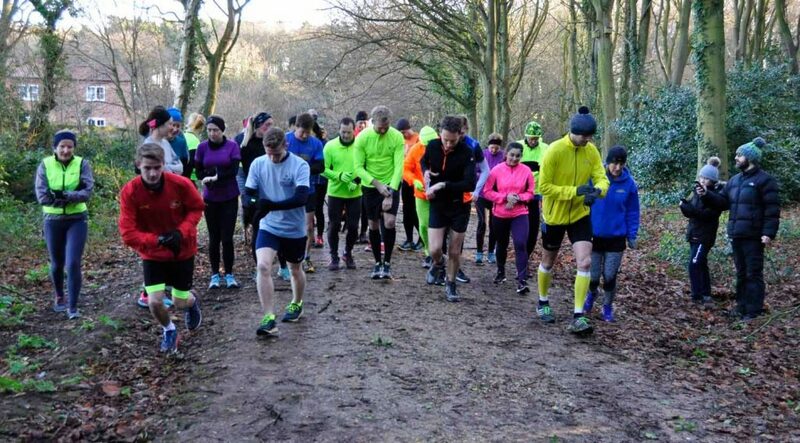 Seventeen North Norfolk Beach Runners, along with 427 others, were on the runway at the former RAF Coltishall for Coltishall Jaguars’ Mad March Hare 10k which this year, for added madness, was run in late April. In a cold and blustery force six and rising, NNBR quickly adopted a strategy of all appendages akimbo on the downwind leg and tucked in on the upward (such variable geometry nevertheless being more Tornado than Jaguar) which resulted in some quick times for the conditions. 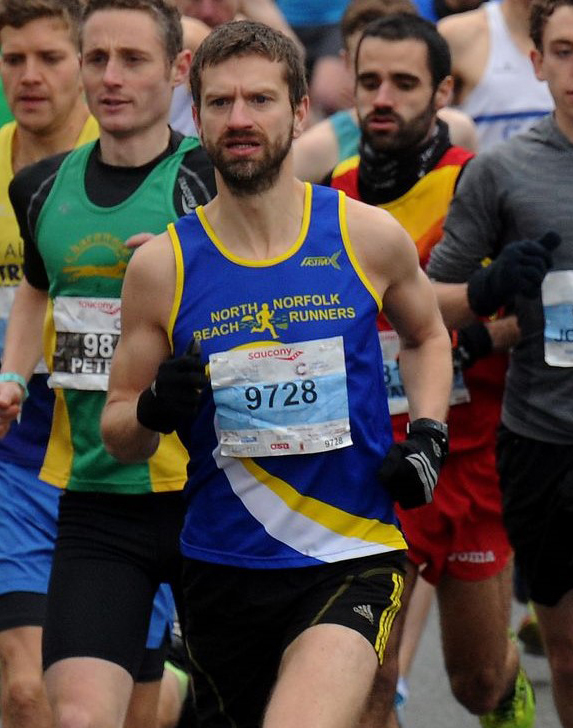 First Beach Runner home, merely because he was running, was Neil Adams (M40-44) in 36.40 for 3rd place overall and 2nd in category, followed by Adam Smart (M15-39) moving well, as ever, in 38.07 for 6th and 3rd. 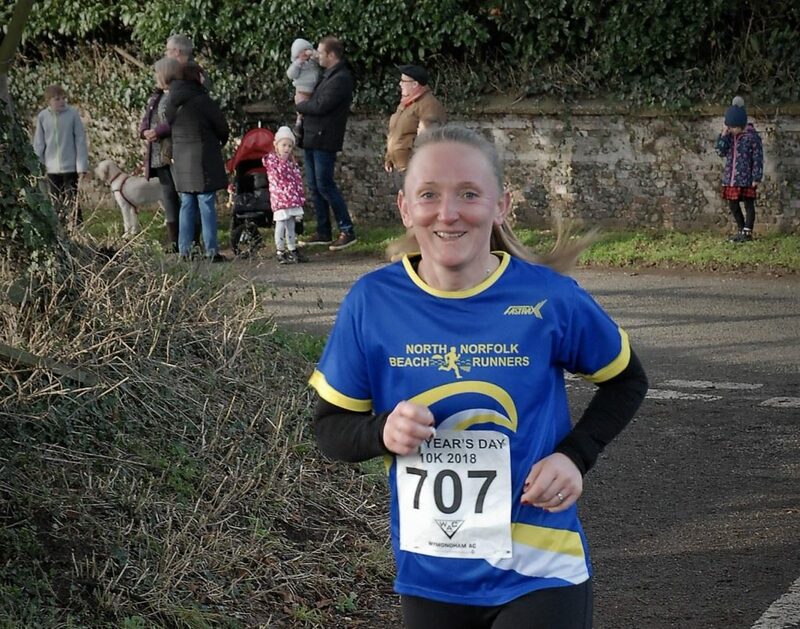 First lady Beach Runner was Helen Hagon (F 55-59) in 53.01 for 207th but a very creditable 2nd in category. The club senior citizens again performed well, SuperSeventy Sam Weller (M68+) clocking 45.48 for 95th overall but 1st in category, to be only just headed by club chairman, Clive Hedges (M 55-59 and rising) wearing his office lightly to record 45.22 for 90th overall and 3rd in category. 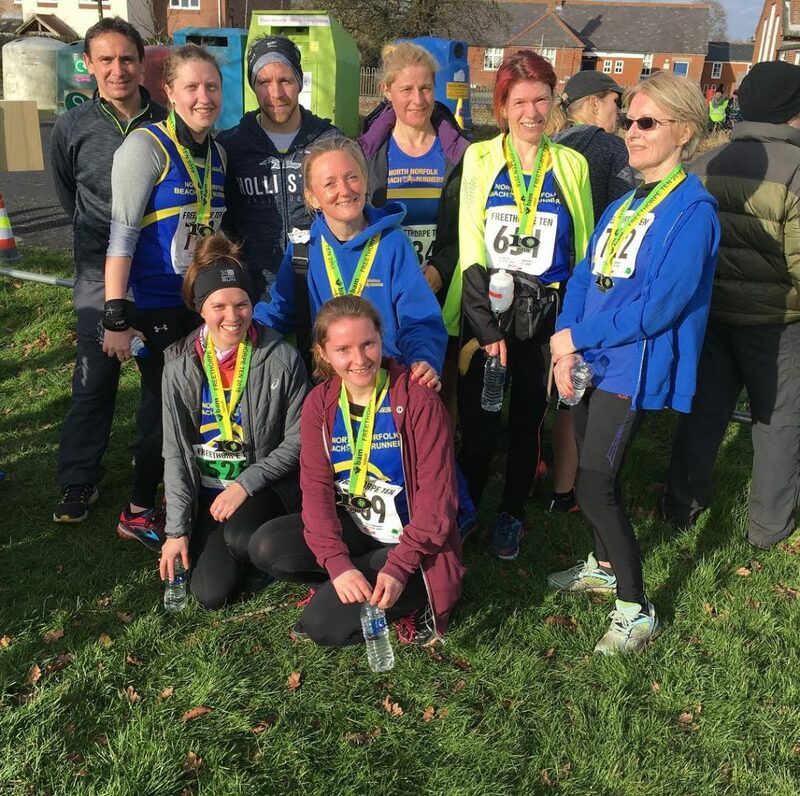 All eyes now turn to the Dereham 10 mile in a fortnight.